A new infographic looks at the patrons of the galaxy's most notorious bar. 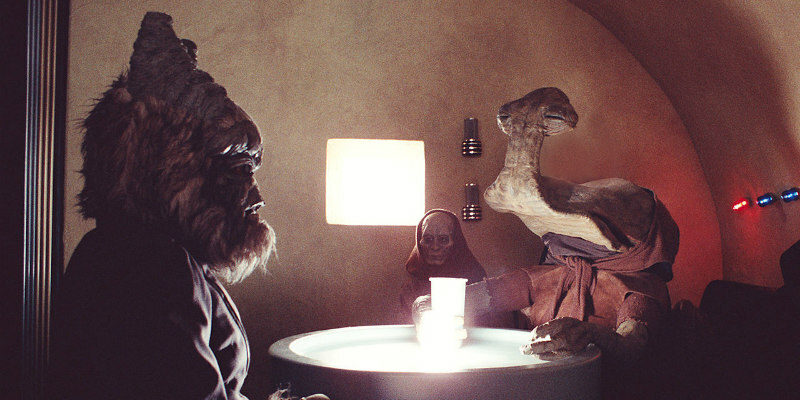 One of the most iconic scenes in the Star Wars franchise takes place in the Mos Eisley Cantina, a dive bar populated by a wonderfully creative array of creatures. This infographic from HalloweenCostumes.com takes a look at the regulars of the disreputable establishment.